We are delighted to announce the launch of unlock my past. unlock my past helps our customers breath new life into their photographic collections; scanning and preserving their most treasured memories for their friends, family and future generations. We scan photographs, negatives and slides; transfer video and cine film to DVD or Blu-ray. Gift Certificates If you are looking for an unusual present, our gift certificates are ideal as they can be exchanged for any of our services. Just look at the foot of each service page for the Gift Certificate button. Photo Scanning Have you ever wanted to dust off your old photographs, slides and negatives and see what they contain? Perhaps you want to share them or just make sure that they are safely backed up for future generations? We take photos, negatives and slides and professionally scan them to DVD or Blu-ray. We can repair damaged, faded and scratched photographs. Enquiry Form: Estimates are free. Video Transfers We transfer Video tapes to DVD and Blu-ray with services ranging from an entry level direct transfer up to advanced editing and enhancing of your recordings. We transfer VHS, VHS-C, and 8mm tapes onto DVD. We set chapters every 5 minutes to allow you to fast forward through the film. We also capture 8 and Super 8 Cine film and transfer it to DVD or Blu-ray. Enquiry Form: Estimates are free. Family History Our family history service includes a free review, Discovery Lite, to evaluate the chances of success in tracing your ancestors. All estimates are free of obligation. Other Services We take scans or photos and make these into slideshow DVDs that can be shown on a TV for special family occasions like birthdays and anniversaries. Slideshows can be built using any number of images. 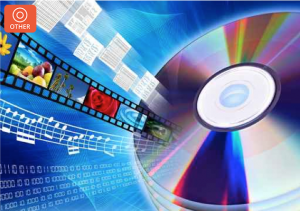 We can add non copyrighted music or a choice of music that you own onto your finished DVD. Enquiry Form: Estimates are free.